Hop On the Downtown Trolley! From now until the beginning of 2018, hop on the Downtown Glendale trolley, which circulates along Brand and Central, around the Americana and up to the residential areas north of the 134 Freeway. A great First/Last Mile solution, the trolley makes it easier to walk and take transit to your destinations. Here LA designed the trolley stop signage and large side-panel trolley graphics, with a fun hand-drawn look, inspired by the sites around Downtown. Here LA Helps Kick-Off the Artesia International Downtown Strategic Plan! Here LA is excited to announce the kick-off the Artesia International Downtown Strategic Plan with Gwynne Pugh Urban Studio. 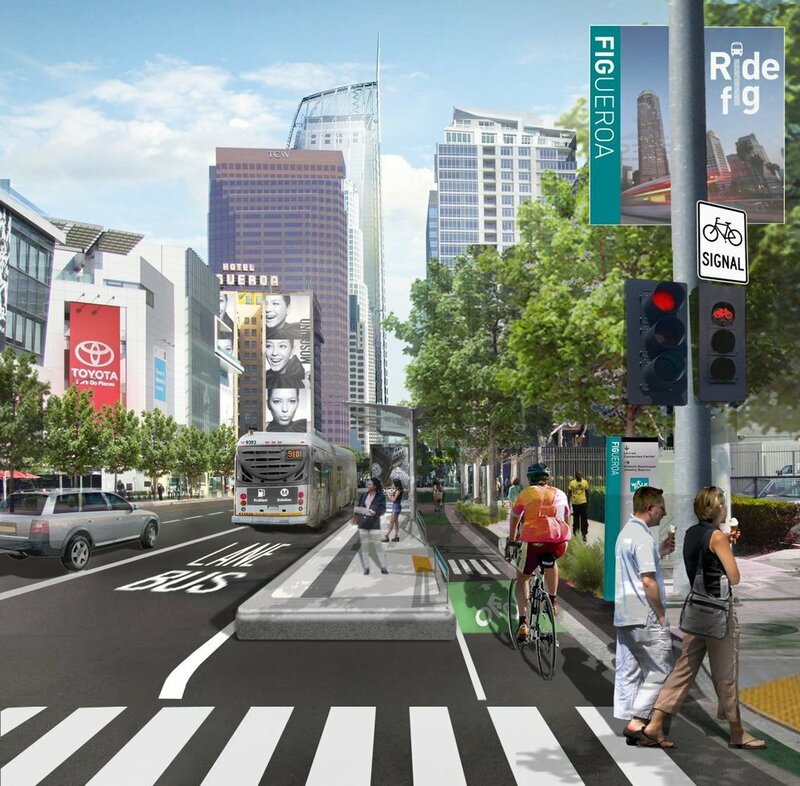 As LA Metro moves forward with plans for the West Santa Ana Branch Transit Corridor, (a transit line that would connect Downtown Los Angeles to Artesia) the City of Artesia is aiming to enhance its environmental and economic sustainability through transit-oriented development. The goal of the plan is to develop an effective Downtown Specific Plan that will help the City prepare for and leverage its assets at the terminus of the West Santa Ana Branch Transit Corridor. Here LA will be supporting the team by providing urban design and creative engagement services, referencing our recent work with LA Metro on the Transit Supportive Planning Toolkit, the First/Last Mile Strategic Plan, the Green Places Plan, and the Active Transportation Strategic Plan. Look out for more information about the project as we kick-off the engagement workshops in January!